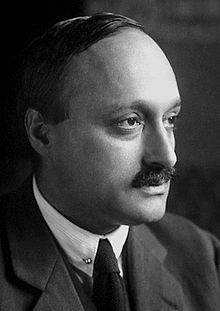 James Franck (26 August 1882 – 21 Mey 1964) wis a German pheesicist wha wan the 1925 Nobel Prize for Pheesics wi Gustav Hertz "for thair discovery o the laws govrenin the impact o an electron upon an atom". ↑ "The Nobel Prize in Physics 1925". The Nobel Foundation. Retrieved 16 June 2015. This page wis last eeditit on 9 Apryle 2017, at 03:58.